Up until last weekend, Honda Marine has dominated the sailing stage both in Auckland, and internationally. 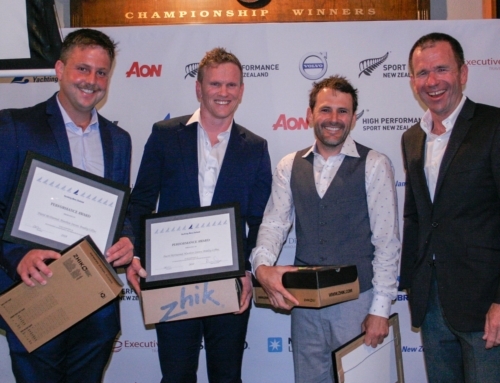 While they may be the current JJ Giltinan champions, they struggled to keep it together for the 18′ Skiff New Zealand National Championships, finishing third overall. The regatta was won by Josh Porebski, Jack Simpson and Dave Hazard, who were the bridesmaids at the 2018 JJ’s behind Honda Marine. Since then, these two boats have been at each other, pushing themselves to the limits. While they are staunch team mates, they definitely get a kick out of beating each other on the race course. Nine races were completed over three days of racing on Auckland Harbour. Being Auckland Anniversary weekend, and the last weekend of cruising before school goes back, this meant the traffic on the harbour provided the perfect training grounds for the 2019 JJ’s in March. However the Kiwi sailors are not used to sharing their race course, and the additional cruisers were the cause of numerous capsizes and position changers. “It’s tough out there when you don’t really know what’s going on,” said Porebski (ASCC). “We had a hard regatta because we haven’t really done much training leading up to this, and now our boats getting packed up in a few days, so we are going into the JJ’s a little raw this year.” That being said, the team had only sailed 12 days together before they finished second at the JJ’s in 2018. Perhaps they are bluffing and are concealing a secret weapon?! C-Tech (Alex Vallings, Sam Trethewey and Matt Coutts) finished second overall on count back. Honda Marine finished third on count back after missing the last two races of the regatta thanks to their rudder gudgeon exploding. “Not ideal, but we’re just happy it happened now and not in Sydney,” said skipper Dave McDiarmid. 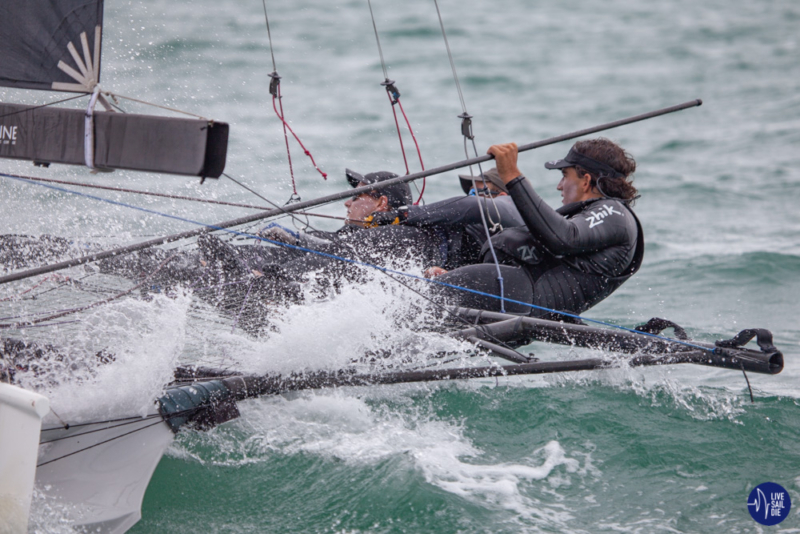 The Auckland fleet only have a handful of training days left before the boats are packed up and shipped to Sydney for the 2019 JJ Giltinan Championship. They have a lot of work to do to ensure they are on form. 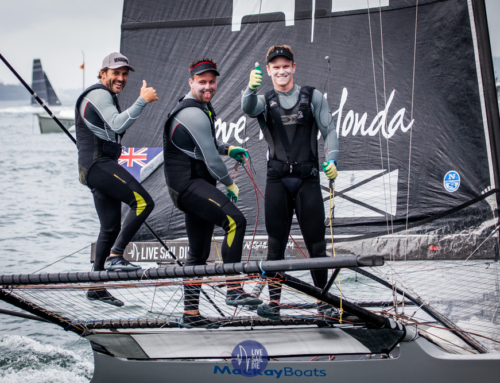 The goal for Honda Marine is to win back to back championships, but the main aim for the Kiwis to once again be first and second, and this time third as well, and then to bring the 2020 JJ Giltinan to Auckland Harbour. Dave McDiramid, Brad Collins, Matt Steven. 2019 18’ Skiff NZL Nationals. 2019 18’ Skiff NZL Nationals.